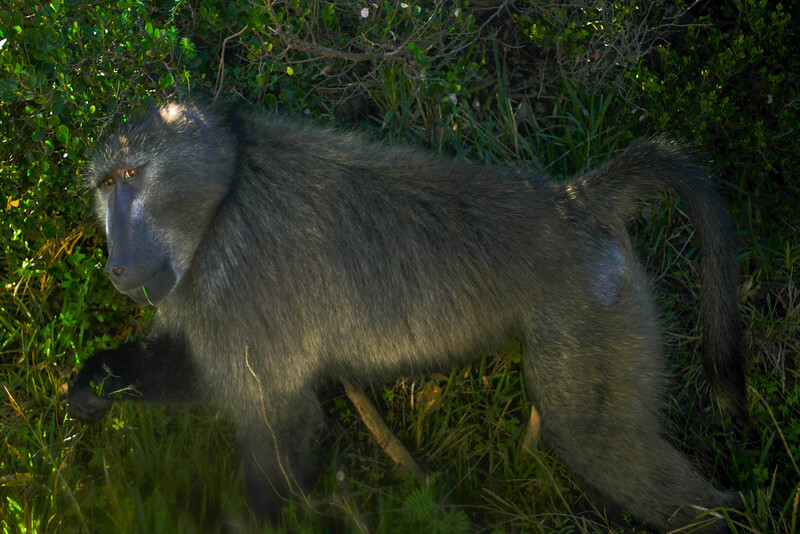 Chacma Baboon (or Cape Baboon). They live in troops of 10 to 150 animals and wiegh up to 190 pounds (85 kg). They live up to 30 years. They share 92% of their DNA with you!